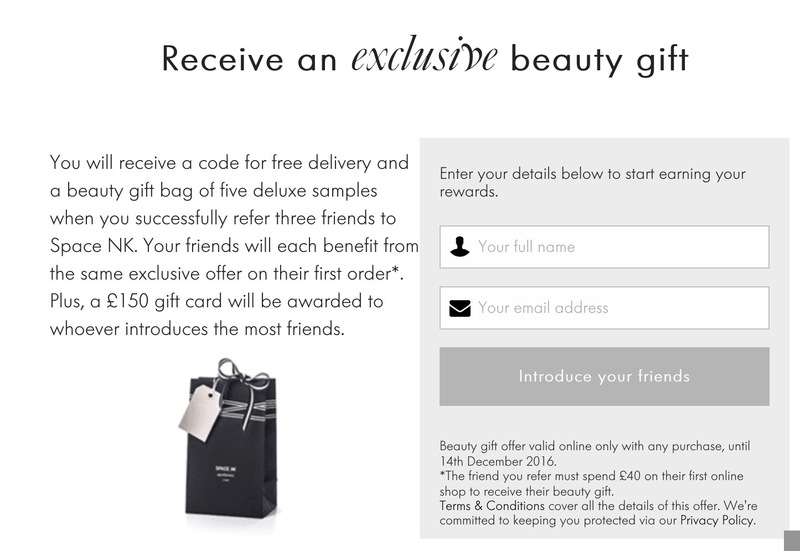 Another great offer I wanted to let you all know about is the current Space NK ‘Refer a Friend’ offer below, especially as I know a lot of people are starting to think of Christmas shopping / party season. Currently when you sign up / place your first Space NK order online with a purchase(s) of £40 or over and use my referral link here, (then enter the promotional code you receive at checkout) you will get a beauty gift bag (items in bag may vary), free shipping and choice of 3 free samples at checkout. Beauty gift offer is valid online only, until 14th December 2016 or while stocks last. As you can see I will also receive a beauty gift bag when three friends place orders and then for the next three I will receive £10 credit.